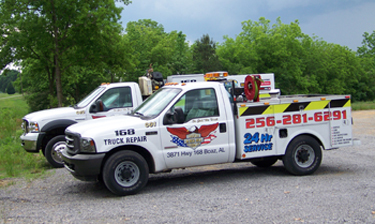 168 Truck Repair is an independent owned and operated business. Owners Roger Lightsey and Steve Tarvin and the staff have over 50 years combined experience in truck maintenance and fleet management, and our service technicians are highly skilled and trained to meet all of your truck repair and service needs. Our 24/7 road service is the best in this area. Call at 256-281-6291.